Unai Emery is still finding his best formation. Before his appointment, Emery was known to play a 4-3-3 or a 4-2-3-1, with the latter being the formation that was most common during Wenger's reign. 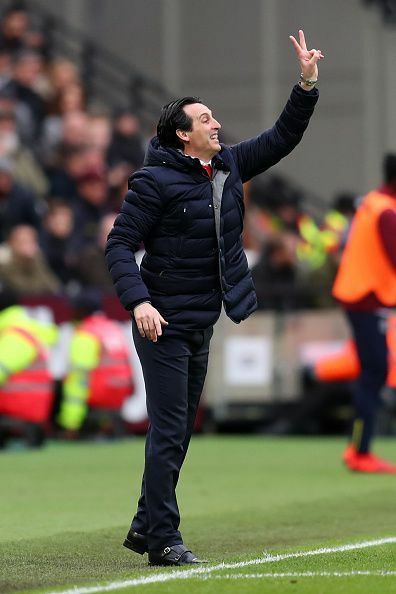 During the first few months of his reign, Emery stuck with his favorite formation, a 4-2-3-1, with Granit Xhaka and Lucas Torriera or Mateo Guendouzi playing as the deep-lying midfielders, and Mesut Ozil or Aaron Ramsey playing the typical No.10. But seeing how weak his defense was, with only 2 clean sheets in the Premier League till the end of 2018, Emery realized the need to change his formation. He changed his formation to a defensively more stable 3-4-1-2 (or a 3-4-2-1), with 3 center-halves and 2 deep-lying midfielders. The 2 wing-backs, Sead Kolasinac and Hector Bellerin (or Maitland-Niles), were given a lot of freedom, and a major chunk of offense was done by them. This system worked well for Emery, leading them to a comprehensive 4-2 victory again Tottenham in the North London Derby back in December. However, the injury to Holding changed everything. Because of the limited number of center-backs, Emery had to play players like Granit Xhaka out of position to make his formation work. Since then, the Gunners have been juggling between the two formations, and that has caused various problems in the defense. Arsenal have had only 1 clean sheet in 13 away games this season in the Premier League. It's one thing to be adaptable and have an adjustable formation according to the opposition, but changing your formation so regularly can create a lot of confusion in the team, especially one with a make-shift defense.